(Verso, frame) inscribed in black ink, at upper center, on brown backing paper, by Séguier: Au Cte de Clarac / par / son ami B[aro]n Séguier / amicitae signum"; inscribed in black ink, at upper center under Séguier's inscription, in a later unknown hand: "vente de clarac -- avril 1847". Baron Séguier was part of a small circle of amateurs that surrounded Jacques-Louis-Mandé Daguerre. Daguerre invented the daguerreotype, the process announced to the world in 1839 that produces highly detailed positive images on silver-coated copper plates. 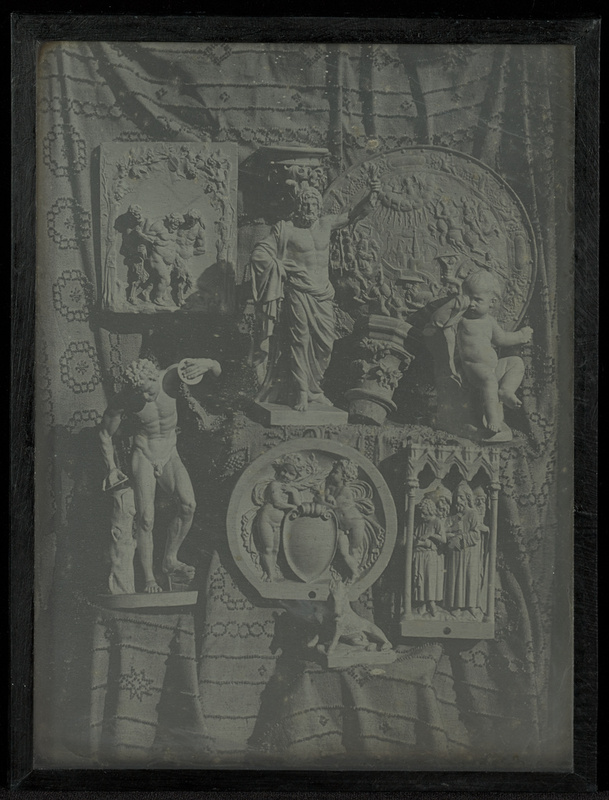 Some of the first successful daguerreotypes depicted arrangements of small-scale plaster copies of sculpture. The exceptionally long exposure times precluded the use of living models, a problem that would not be resolved until about 1841.